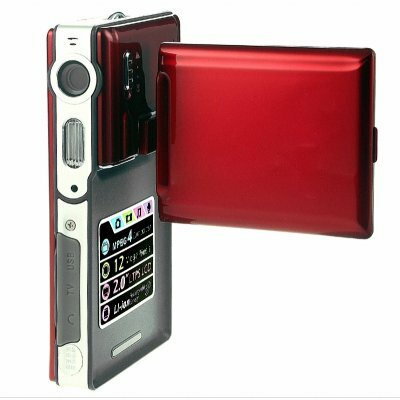 Successfully Added Digital Camcorder PMP - 2.0 inch LCD + MP3/4 Player to your Shopping Cart. New Chinavasion wholesale Digital Camcorder featuring a high quality 5.0 Mega pixel CMOS imaging sensor a 270 degree rotating 2.0 inch TFT color LCD screen, and the ability to play MP3 music and MP4 movies. It comes with SD/MMC card slot for expanding the built-in 32MB flash up to 2 more GB. With 8 x digital zoom and with 11 Mega Pixel (Interpolated) still image resolution and AV OUT connection, this product truly excels in both taking digital photos and digital movies.